The thing is, we don't know what to name this Hat! 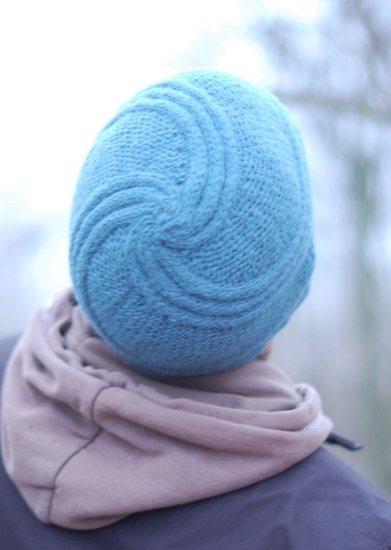 I've quite a few designs with spirals and twists in them, and I think I've exhausted all the obvious possibilities... has anyone any suggestions? It's knit from Jamieson & Smith Shetland Aran - the perfect yarn for this kind of detail - yummy!